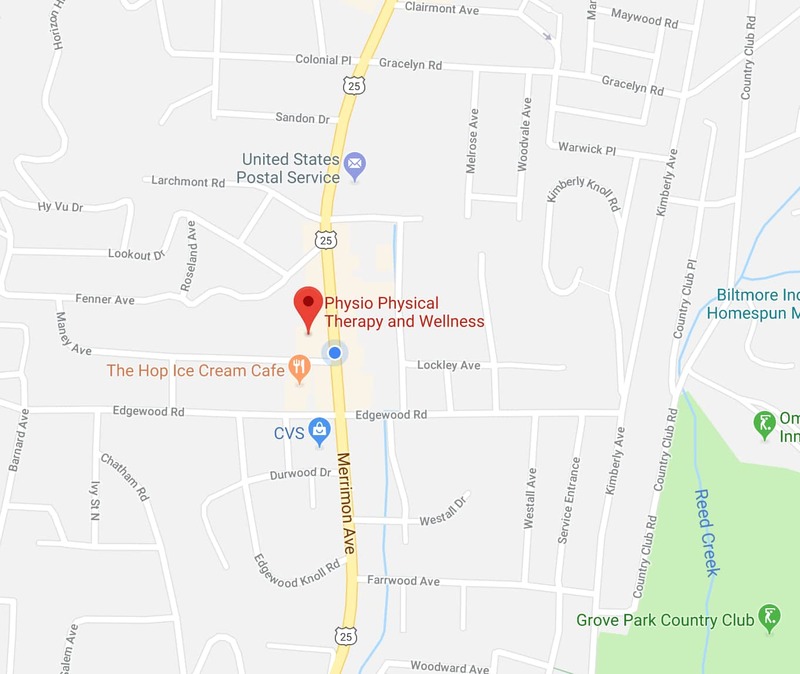 Since we opened our doors in 2013, Physio Physical Therapy and Wellness has grown from one caring and compassionate Physical Therapist, to a team of passionate and highly-trained Physical Therapists, Massage Therapists, and Wellness staff. Our core values of community, one-on-one care, and hands-on therapy have helped us to become the go-to in Asheville for anyone who is ready to live life at 100% again. 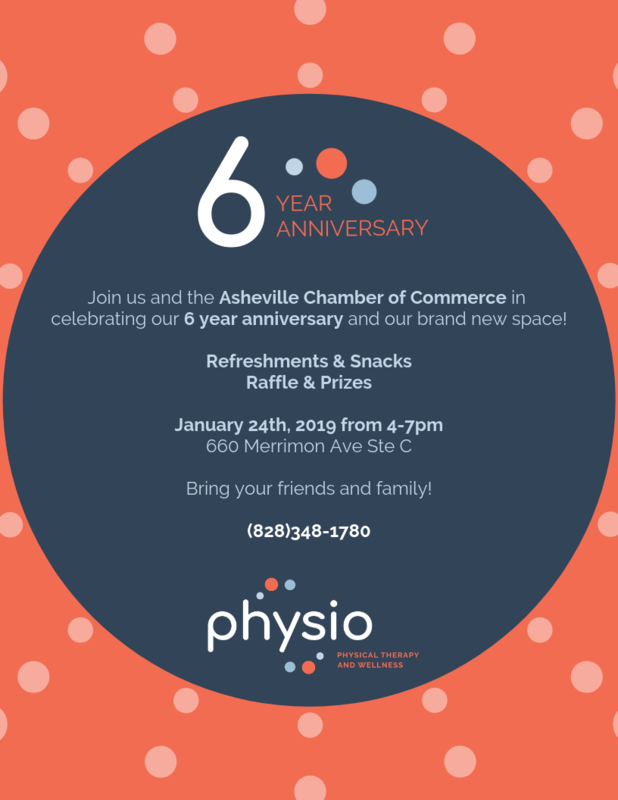 Join us and the Asheville Chamber of Commerce in celebrating our 6 year anniversary! On January 22nd, 2019 drop in any time between 4pm-7pm to see our new space and celebrate our anniversary. It's because of your continued support that we are able to grow. We appreciate you!